A perfect gift for (future) football mad babies! Exclusive to Simply colors, personalise your bib with your own text making a unique keepsake! Personalise with your own message or "I dribble for..." and a team name it is up to you! A perfect gift for new parents, or a football mad Dad! You can select from over 100 different colour combinations - so almost every football team will have their own bib if you wanted! It is worth triple checking capitalisation and spelling as we will print it as it has been ordered. When designing your bib we suggest having a look through our photo's. 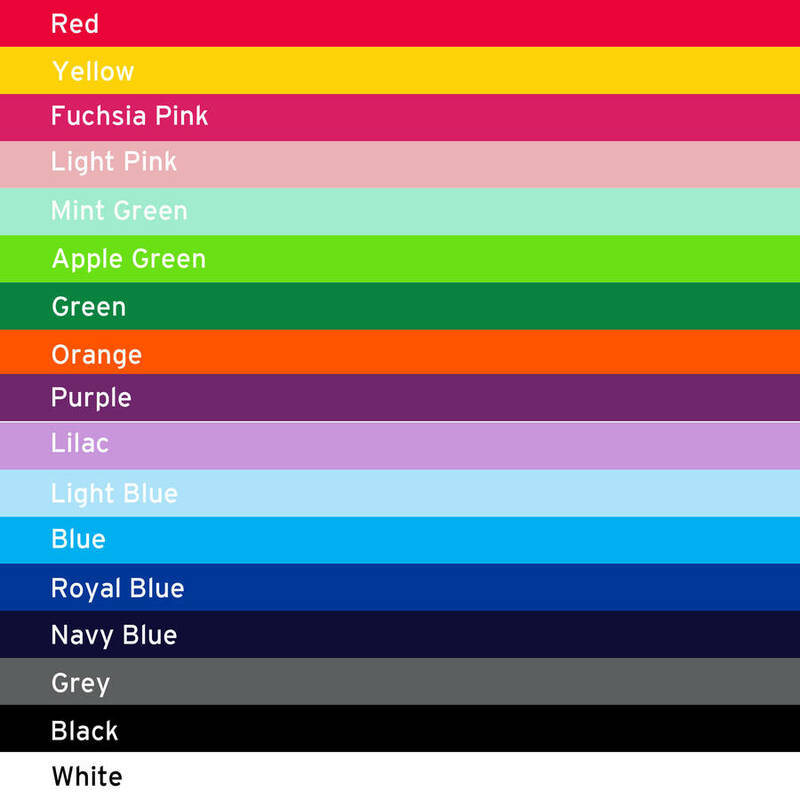 You can find images of the bib colours and print colours. 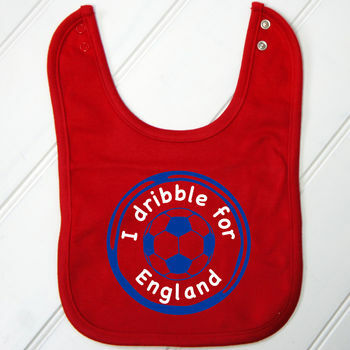 Simply choose which bib you would like, the colour of the football, and the colour of the text. We will then do the rest! There are some colours that will not work on the bibs as they are too similar. 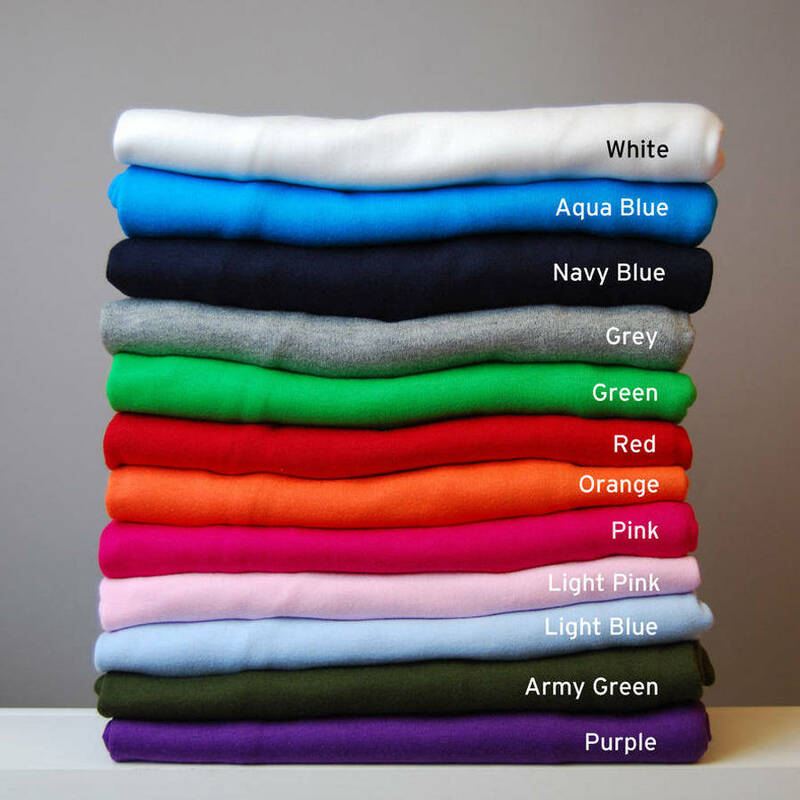 These include; Navy or Black on the Navy bib, Blue on the Aqua Blue, Fuchsia Pink or Red on the Pink or Red bib, and White on White. Our bibs (exclusive to Simply Colors) are made from excellent super soft cotton. Care instructions: the bibs can be washed up to 40 degrees. We recommend 30 degrees for at least the first wash and they should not be tumble dryed as this may affect the quality of the print. Iron on reverse. One size 31cm x 22cm. Double popper fastening for size adjustment. The text and illustration will be sized to fit the bib. Please contact us via the 'Ask the seller' link if you would like any further information.